Hey there, I’m Matthew. I’m an Australian-trained Sports Massage Therapist/Sport Therapist. I spent most of my teens and university life in Sydney where I initially realised that my true passion lies in health, and the science of human movement. After completing my Bachelor of Science degree, I decided to further my training in the field, becoming a fully qualified Personal Trainer and a Remedial Massage therapist. Returned to my home country of Hong Kong, I was offered the opportunity to work at the incredible Hong Kong Sports Institute, where Hong Kong’s top professional athletes train. My role included treating their recovery from injury, as well as managing injury prevention to maintain their elite performance. I’ve been fortunate to attend many world class level sporting events in a professional capacity, including the Asian Beach Games, Rowing World Championships, table tennis and cycling competitions and – most exciting of all for this Hong Konger – the Hong Kong Rugby Sevens. From my extensive experience working with elite athletes, I’ve gained a deep understanding of what it takes to stay healthy. We must first be able to move pain-free, and increase our agility to ensure that we’re ready to excel in every opportunity that life offers us. No matter your specific discipline or your level, I will focus on your muscles, joints, mobility and functional movements to improve your performance, leaving you ready to focus on being the very best athlete that you can be. 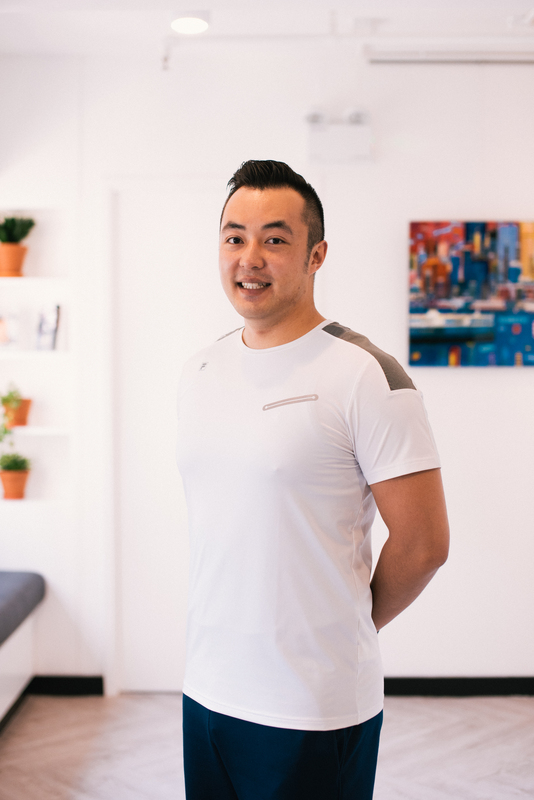 While my experience is based in sports therapy, my treatment programmes offer a bespoke combination of manual therapy techniques including deep tissue massage, trigger point manipulation, muscle adhesion release and elements of myo-fascial and joints work to improve movement. This is often followed-up with training focusing on functional movement to target the root cause of any injury. Each session aims to improve chronic pain and relieve muscular discomfort; reducing your fatigue, improve your range of motion, and simply making your movement easier. I look forward to meeting you to discuss how we can work together to help you achieve your gold performance standard.